Vape pens are a great and healthier alternative to smoking cigarettes. If you’re looking to cut back on cigarettes or looking for a better way to get that nicotine fix, you may want to consider the best vape pen for e-liquid listed below. In addition to helping people quit smoking, vaping has become a lifestyle to many. The plethora of customization options for vaping has allowed people to express their creativity and style in the vape pen or vape mod they carry. Whatever your reason for vaping, you can choose a vape device to suit your needs. Do you want to be able to produce big clouds or be able to customize the aesthetics and performance of your vape mod? Then you may want to check out these box mods. Or do you just want a no-fuss solution to quit smoking, not worry about the intricacies of a vape mod, and quickly get that nicotine hit? Then you’re in the right place. See below for the best vape pens for e-juice. Since the launch of JUUL in 2015, it’s become one of the most popular vape pens today and considered to be the best vape pen of 2018. It’s ideal for those who are trying to quit smoking cigarettes but want the same nicotine hit in a less harmful way. The device has a mouth-to-lung draw and hits very similarly to lighter cigarettes. 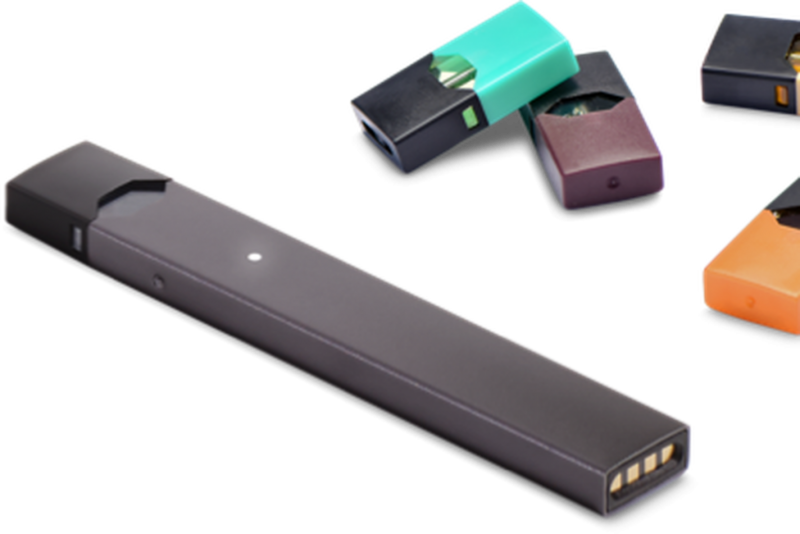 The JUUL has a simple and elegant form-factor and is very convenient to use. It has a two-part design – a battery pen body and a pod. Simply attach a pod to the battery and start vaping. The pods are non-refillable so once the e-liquid in the pod is finished, you discard the empty pod and replace it with a new one. There are 8 delicious flavors to choose from. From fruity to minty to sweet. 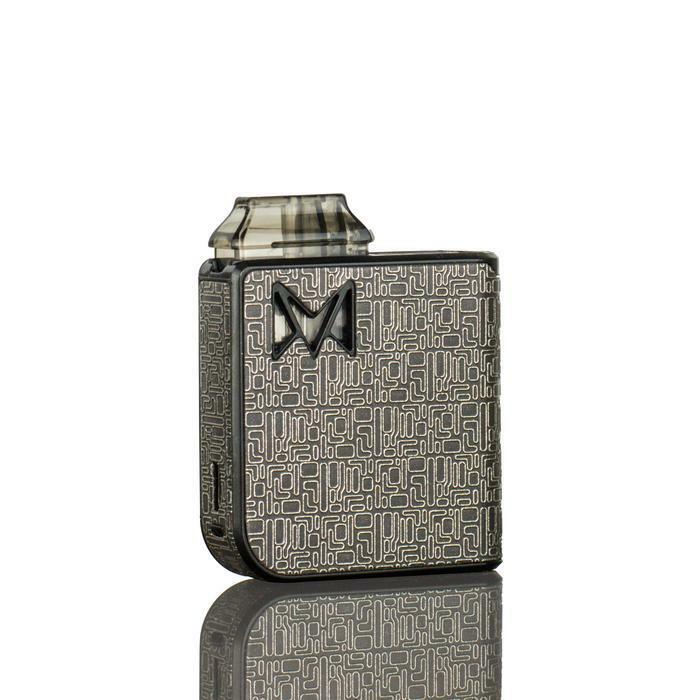 MLV’s Phix is a convenient ultra-portable vape device with an all in one system. Phix is best described as a blend of convenience, portability, and rich flavor. It has an underlying yet striking design where less is more. The Phix has a draw activated firing mechanism with the plug-and-play feature that utilizes proprietary magnetic technology to connect it’s 1.5ml pod with the device. What’s innovative about the Phix, is that it’s the first all-in-one vape pen to use ceramic wicking to enhance the flavor. One full charge of the 280 mAh built-in rechargeable battery lasts for about 220 puffs (depending on how hard you hit). If you’re looking an affordable pod system that has good flavor and plenty of e-liquid choices, you may want to check out that Hangsen iQ 3 SECS Ultra Portable System. The Hangsen iQ 3SECS is a draw-activated device with a slim rectangular body made of metal. The 2ml pods can be inserted into the device both ways so it’s practically dummy-proof. There are 4 available flavors to choose from: blueberry, strawberry, menthol, and tobacco. 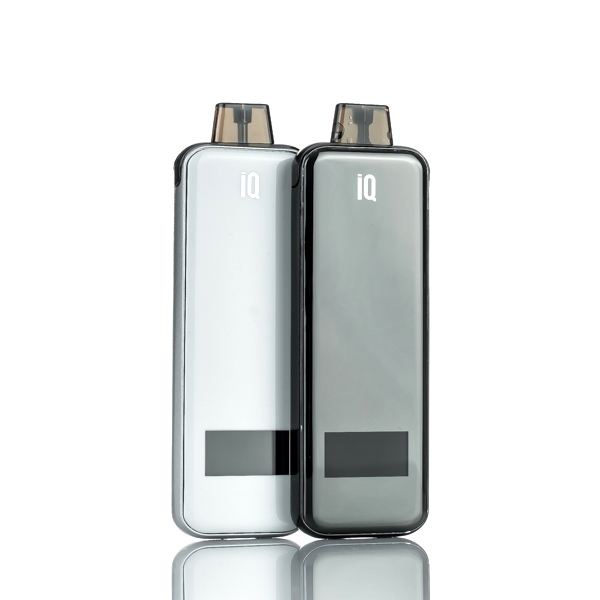 The iQ 3SECS has a 380 mAh battery and an LED indicator for the battery life. Green light indicates full charge, yellow light means 50%, and red light indicates low battery. This device is all about convenience and portability. It is also great starter vape pen since it is very affordable and easy to use out the box. 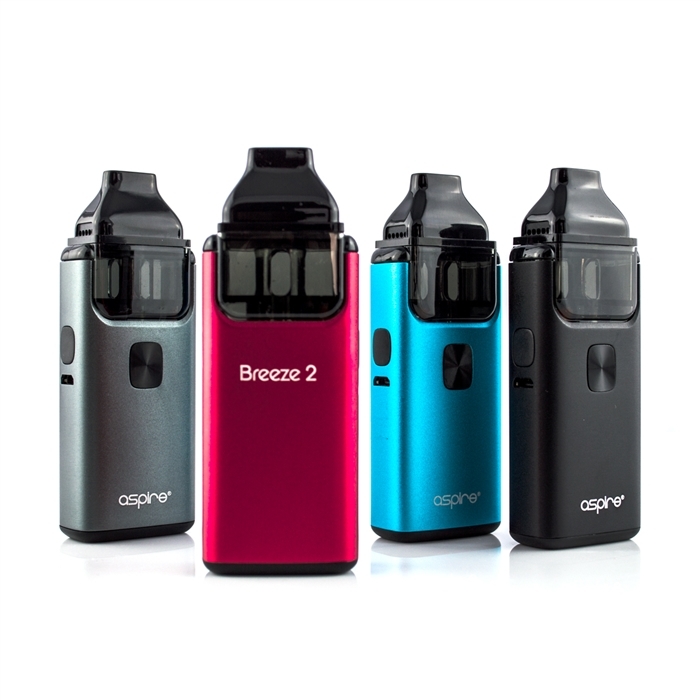 The Aspire Breeze 2 is the successor to the popular Breeze vape pen. When it comes to affordable starter vape pens, the Breeze 2 is one of the best. One of the best things about the Aspire Breeze 2, compared to the other vape pens above, 2 is the REFILLABLE pod. You are not limited by the flavor selection of the Aspire brand. You can put in the E-liquid flavor and brand of your choosing. The pod can hold more e-liquid than more vape pods with a 3ml capacity. And with a 1000 mAh battery, this device is perfect for the low maintenance all day vape enthusiast. The other advantage is the adjustable air flow. You can control how hard you hit this thing. 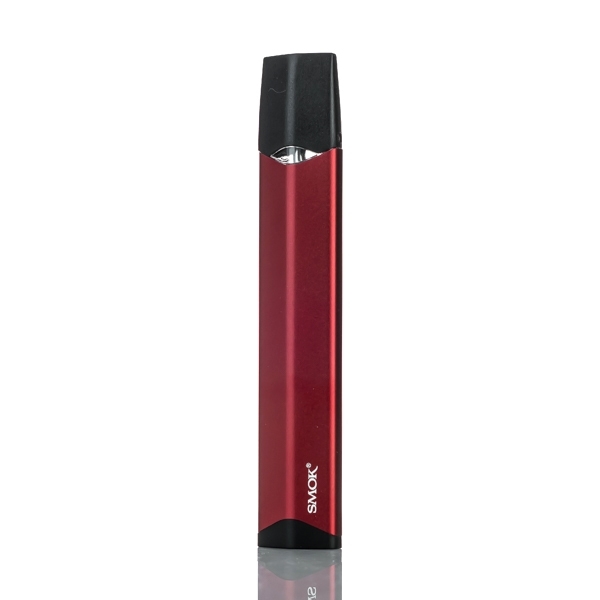 The Suorin Vagon Ultra Portable System is another great draw-activated device. 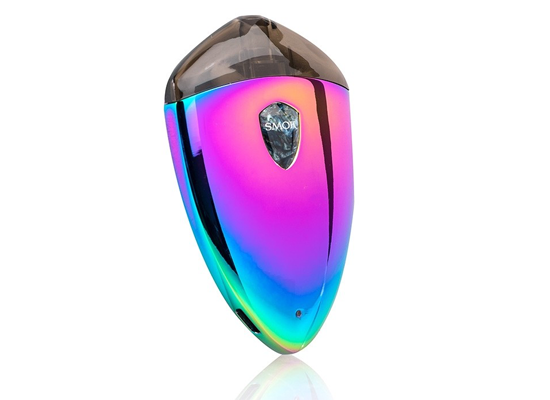 It has a built-in 430 mAh battery that can be fully charged in 1 hour and the pod can be filled with any e-liquid you like up to 2ml capacity. When it comes to the design and construction, it can be described as bullet-shaped. There are no physical buttons on the body, giving it a clean and sleek look. It’s small, compact, and lightweight, and can be easily carried everywhere disguised as a pen or lighter. The versatility and performance of the Suorin Vagon Ultra Portable System, along with the sleek and functional design, makes it great for both experienced users and beginners. Draw activated systems are popular among vape pens, and it’s obvious because here we have another such device. 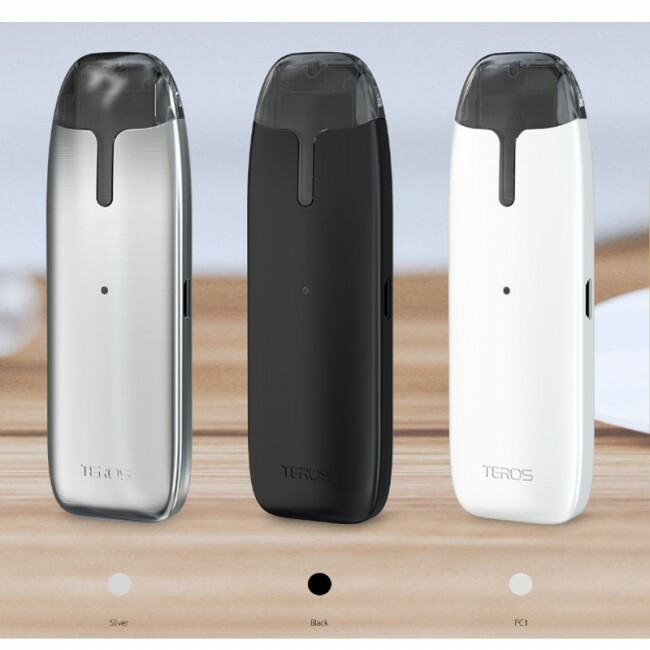 The Teros Ultra Portable System has no physical firing button but does have a 2ml capacity. The battery is decently powerful at 480 mAh. The refillable pod has 0.5 ohm coil and a side fill port. It also has a gold plated connection, which functions as the drip tip. The package comes with two cartridges. The LED battery life indicator notifies of current battery levels. The device also has a micro USB charge port on the side. The Smok Rolo Badge Ultra Portable System is one of the smallest vape pens on the market. Convenient, lightweight, and small enough to be left in your pocket, this device is great for someone who doesn’t like carrying around bulky vape pens or mods. You won’t have to worry about your e-liquid leaking with the Rolo Badge. It was built for portability. 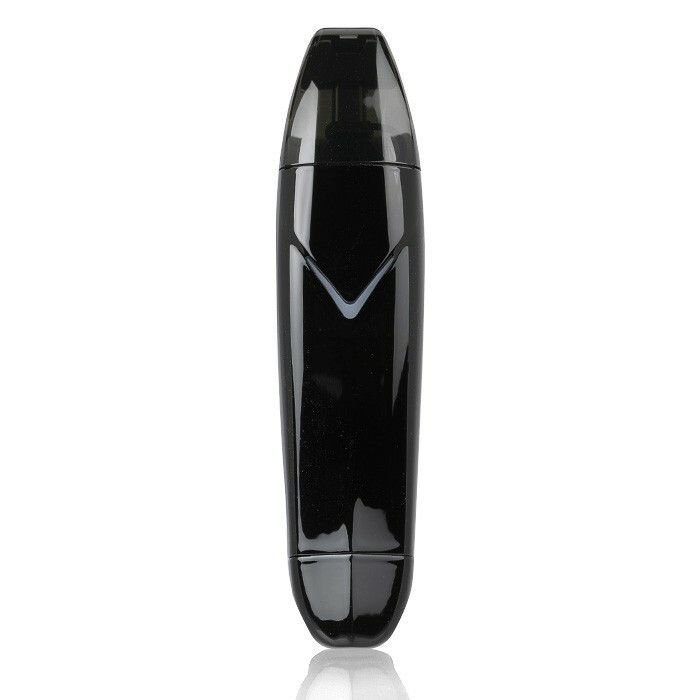 The vape pen has the shape of a teardrop with a metallic finish. 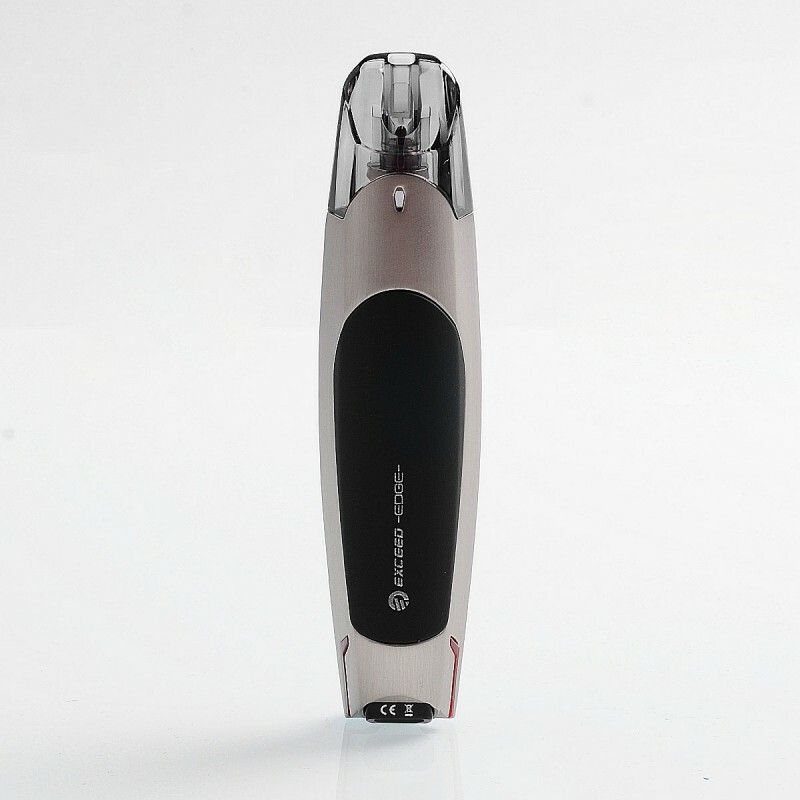 the device has a 2ml capacity which can be filled with your favorite e-liquid. The Joyetech Exceed Edge is one of the best budget vape pens that looks stylish and packs a punch as well. The Exceed Edge comes with exchangeable coils and a refillable tank. The 2ml tank has a removable rubber plug, preventing any leakage and can be filled with any e-liquid of your choice. The device is operated by the fire button in the center of the pen. So you’ll need to hold down this button in order to hit your vape, unlike most of the other draw-activated vape pens on this list. There is a charging USB port at the bottom and the mouthpiece and the pod are on top. The 650 mAh battery should last more than a day on moderate usage (whatever that even means). This is a compact device that blends convenience, rich flavor, and portability. The device has a 2ml capacity, with an output of 10 to 16W and input of 3.3 to 4.2V. The draw activated system eliminates physical buttons, while the 250 mAh battery can be charged through a USB cable. If you want to be able to vape in public without being too obvious, this device is a good pick. Smoking Vapor’s Mi-Pod is not only a super compact vape pen but also one of the most beautifully designed and appealing vape pens of today. The pod is surprisingly able to hold 2 ml of e-liquid and has a single button to activate it. The device is available in various patterns and designs, and different color schemes. The rechargeable 950 mAh battery has a LED indicator that tells you about the current battery power all the time. The device is light enough to be carried with the braided lanyard that comes with it. The Mi Pod is excellent for travel and portability. Actually, vaporizers or e-cigarettes first came around as an alternative to regular cigarettes. In the beginning, they were touted as healthier and safer than cigarettes. But as more research was done on electronic cigarettes, it was found that they were no less harmful than smoking cigarettes. Just because the amount of nicotine is much less compared to normal cigarettes, the effect of vaporizers is felt after a long time. Despite the risks, vaporizers became popular because they were a cool, new way to smoke. The different features of the devices, the reusability, and the various flavorings of the e-liquid were some of the most significant selling points. Cigarettes burn out, but e-cigs last for years. Avid smokers also find this more affordable and with this economy humming along, lots of things are more affordable. Smoking e-cigs or using vaporizers is colloquially called vaping. Vaporizers are colloquially called vape devices, sometimes vape pens or vape mods. Are Vape Pens Safer Than Cigarettes? The e-liquid used by a vape pen is made of propylene glycol, flavoring, vegetable glycerin, and nicotine. Although all of these substances are FDA approved for human consumption, nicotine is known to be highly addictive, and can even cause lung disease in the long run. But because vape devices don’t produce smoke, they are easier to conceal and discreet to use in public. Cigarettes also contain nicotine, but many other chemicals that are harmful to the human. If you have the option to vape, smoke, or none, then doing neither is probably best. But if you had to choose between vaping and smoking, in our opinion, we believe that it’s the healthier of the two options. Besides, e-liquids have various flavors, from menthol to mango, and are often more pleasant than smoke. In most US states and countries throughout the world, you need to be 18 or older to legally purchase vaping products. What Is A Vape Pen And What Is A Vape Mod? When you go out to buy a vaporizer or e-cig, you will be offered two primary varieties: a vape pen and a vape mod. Although both are vaporizers, there are some basic differences between the two. A vape pen is a smaller, more portable vaporizer. It can be the size of a pen or a cigar, are easy to carry, use and conceal. Vape pens were created with the sole purpose of simplifying the use of vaporizers. They are easy to use, are often affordable, and can be carried anywhere in your pocket or wallet. The name vape pen is derived from the size of the device. Vape pens are lightweight, have a smaller battery (usually built in), and a quick charge time. In comparison, the vape mod is larger and more powerful. Vape mods can produce more vapor than vape pens, improve throat hit, and enhance e-liquid flavor. Vape mods are usually equipped with a bulkier battery. They typically operate the same way that vape pens do, and also use the same kind of e-liquid. Many vape mods have computer chips installed to allow the user to control the temperature and power of the mod. Vape mods are bigger, heavier and usually more expensive, but they allow you to really customize your vape experience. If you want a vaporizer that you can carry easily, you should choose the best e-liquid vape pen. Setting up the device: This step includes separating the tank from the battery. Remember that you cannot fill the tank without dismantling the device first. Prepping the atomizer: In this step, you need to prime the tank or pod with the e-liquid of your choice. This involves soaking the wick of the atomizer in the e-liquid to prevent burning the wick when the device is activated. Filling up the tank: After the atomizer has been prepped, put it back into the tank. You have to fill according to the mechanism of the device, i.e: bottom fill, top fill, or side fill. Configuring the vape pen: When you have set up the device, before you activate it, make sure the wattage is compatible with the atomizer. What Are E-Juice And E-Liquid? What exactly is e-liquid? In vape products, the e-liquid is made of propylene glycol, water, glycerin, nicotine, and various flavorings. All e-liquids contain 95 percent propylene glycol and glycerin, while the other ingredients may vary. To put it simply, vaping the nicotine that’s available in the tobacco leaf causes throat irritation because it is too strong and harsh. That is why the nicotine used in e-liquids are salt based – they are not as strong or harsh as the other type of nicotine, and can be vaped without causing throat irritation. There are two main kinds of ingredients used in e-liquids: Propylene Glycol (PG) and Vegetable Glycerin (VG). PG is stronger, tasteless, and also causes irritation in many users. On the other hand, VG is thick and sweet, and produces bigger clouds of vapor. E-liquids containing VG are sweeter in taste. Keeping the vape device clean is the key to get the most out of the flavor. If you don’t clean the device regularly, residue will build up and prevent the actual taste and flavor of the e-juice to come out. Vape pens that use e-liquids are the hardest to clean because of the sticky residue they leave behind. But once you get the process right, it all becomes easy when you do it regularly. Step 1. Open the pod and take out the mouthpiece. Step 2. Using the dab tool that came with the device or a Q-tip soaked in isopropyl alcohol, clean the outer edge and the inner lining of the pod and the mouthpiece. The residue will cling to the cotton and leave the surface clean. Step 3. Keep cleaning the parts until no residue comes out anymore and the surface is visibly clean. Take care to not put pressure on the coil because this is the most sensitive part of the vape and can damage the whole device. Step 4. Once the cleaning is complete, screw the pod back into place. Step 5. Once you put the device back together, activate the device to see if it’s working. Even Napoleon Dynamite can do this! How To Choose A Vape Pen? How often you buy a vape pen depends on the type of user you are. While some vapers may use with the same vape pen for years, others may change their devices every few months. In either case, there are some key factors you must consider before making the purchase. Portability: We have already discussed the difference between vape pens and vape mods. The latter is usually not portable and needs to be set in place. For vaping, you must sit in one place and use the device. The larger, heavier size makes it difficult to carry a vape mod around. Vape mods were the first ones to come about, even before the smaller, portable ones were designed. If you want to vape at home and don’t want to carry the device for travel, a traditional mod could be a prudent choice. But if you intend to smoke in public and need discretion, then a small, sleek vape pen is a better pick. Budget: Vape pens come in a variety of price ranges. The more you spend, the better quality you get. You can get a vape pen for $30 and you can also find higher end ones for above $100. What must be remembered is that the lower end affordable vape pens aren’t going to have the same performance as a higher-end device. Vape pens come in various shapes, sizes, and budget. What is right for one user may not be right for others. Therefore, your personal taste and experience will speak the loudest. Before making a purchase, you must know what you’re looking for. Once you pick the best vape pen for e liquid, it is important to retain the receipt in case you need to claim the warranty. And most importantly, clean the device regularly to keep it free from residues. Following these simple steps will make sure you have the best experience with your vape pen.